6 available. 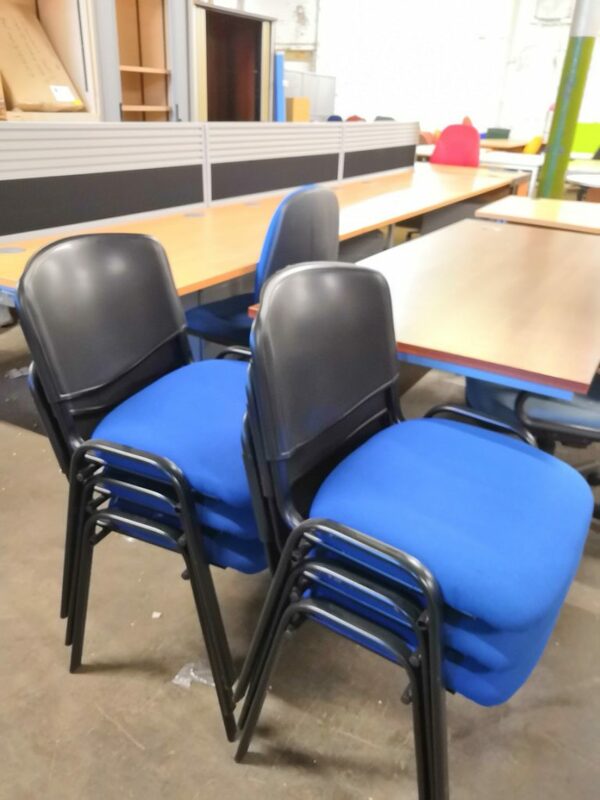 Blue fabric chairs with black plastic legs and metal frame – ideal for reception or meeting areas. Price can be negotiated for all. 7 available. 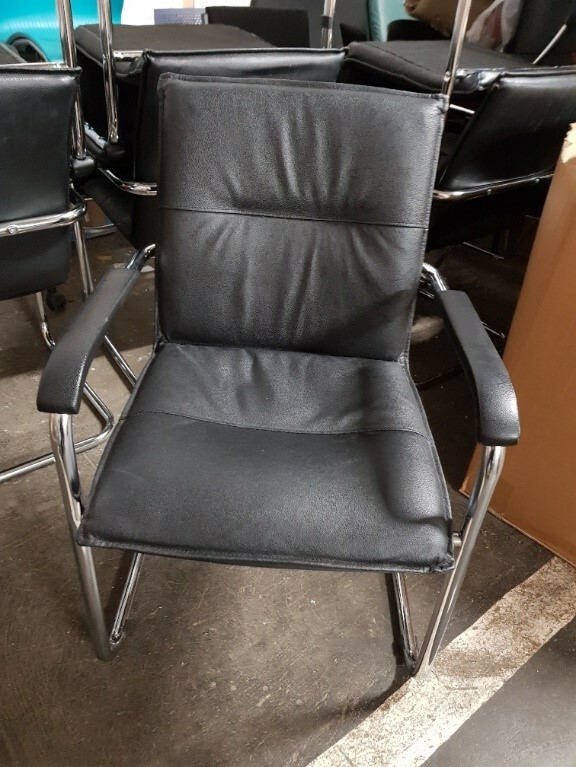 Black leather meeting chair with arms on chrome cantilever frame. 4 available. 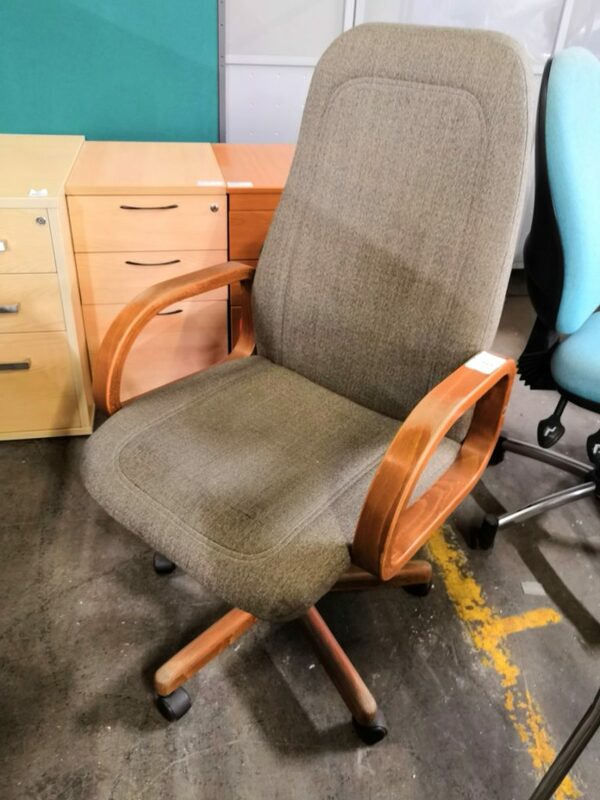 Retro, needing some love, cantilever chair with polka dot pattern. Very comfy with plastic arms. 2 available. Needing some love. 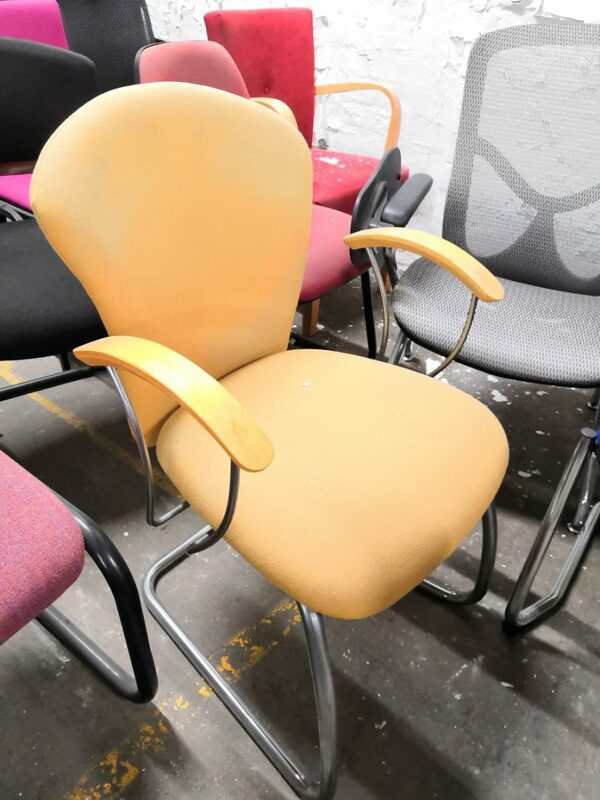 Cantilever framed mellow yellow chair with beech arms and polished metal detailing. 1 available. 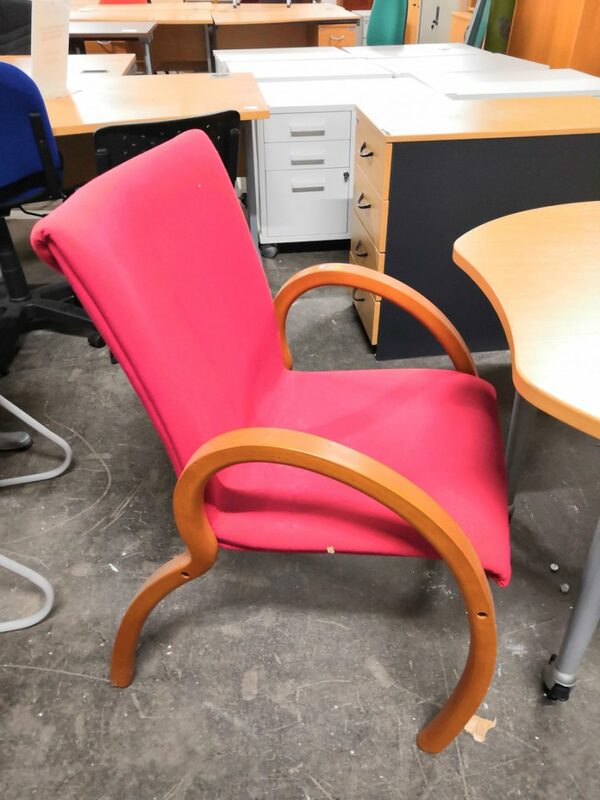 Funky reception chair, needing some love, fit for waiting rooms and accent piece in a reading nook or office. 1 available. Needing some love. 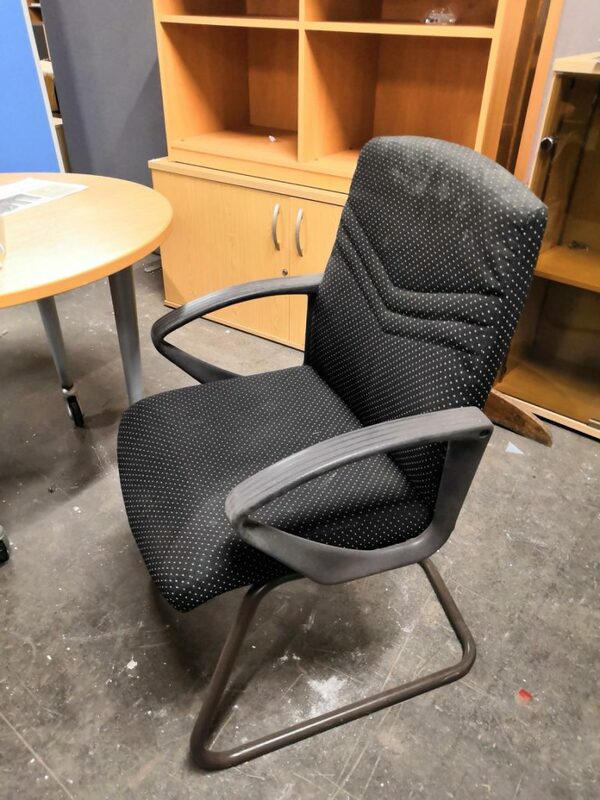 Very comfy operator chair, great for home office. Neutral brown colour. Plastic arms and base. 1 available. Cantilever framed stacking meeting room armchair. 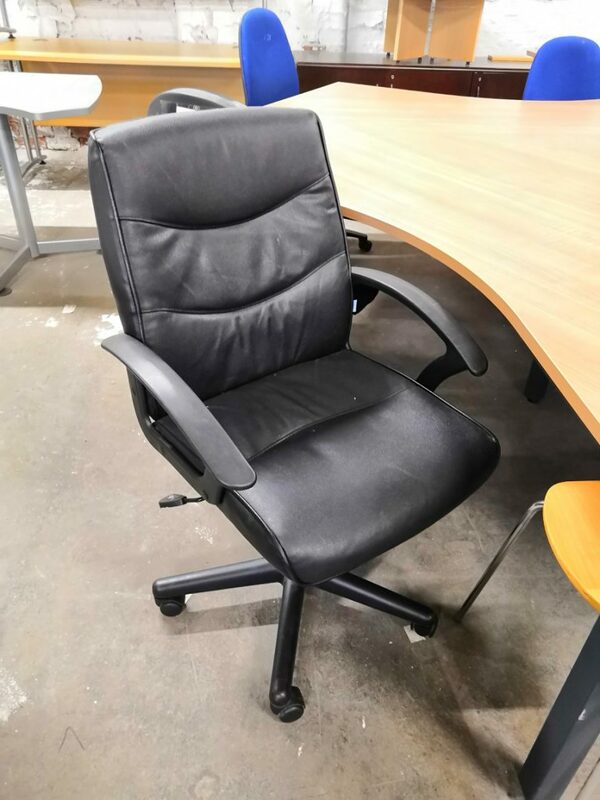 Black plastic shell back with slot design and forest green seat and back cushion. 1 available. 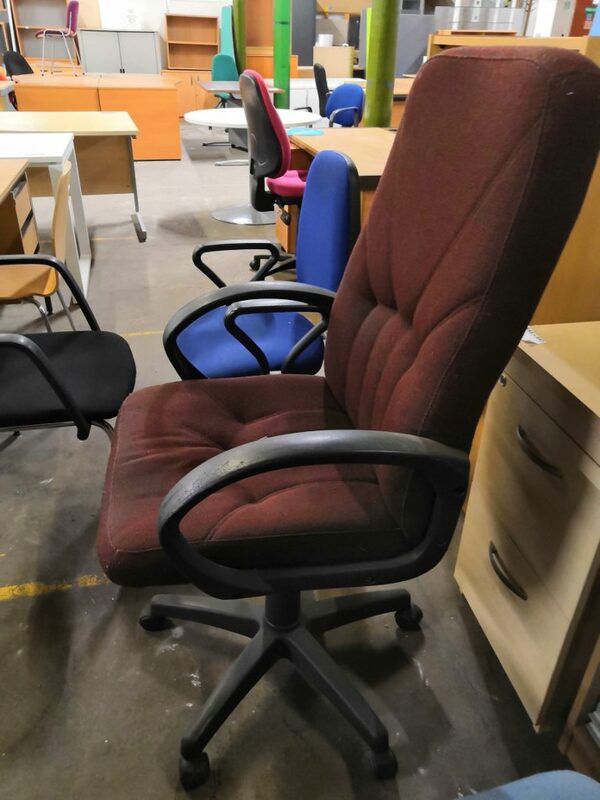 Needing love.Comfortable high back operator chair with wooden arms and base. On castors. Ideal for a home office. 1 available. Retro, needing some love, styled like 70’s seating. 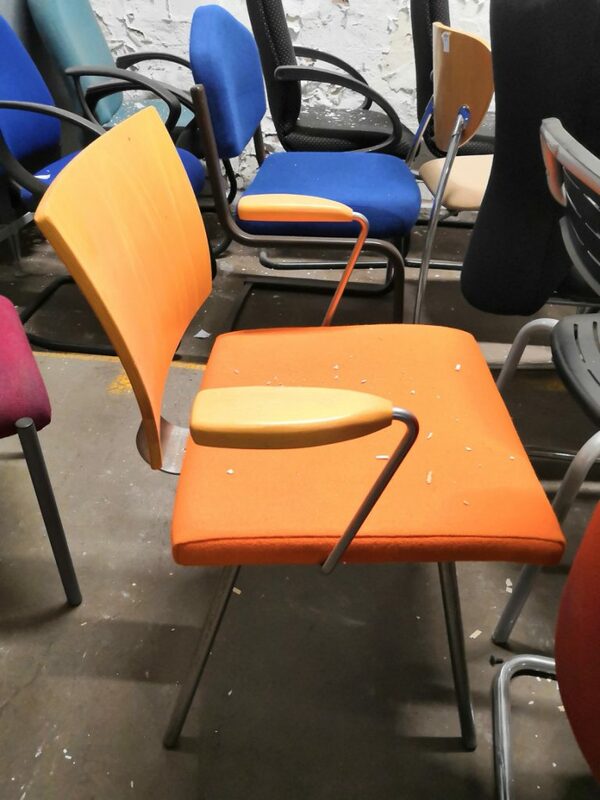 Beech wooden back with 4 tapered polished metal legs and orange fabric seat. 2 available. Needing love. 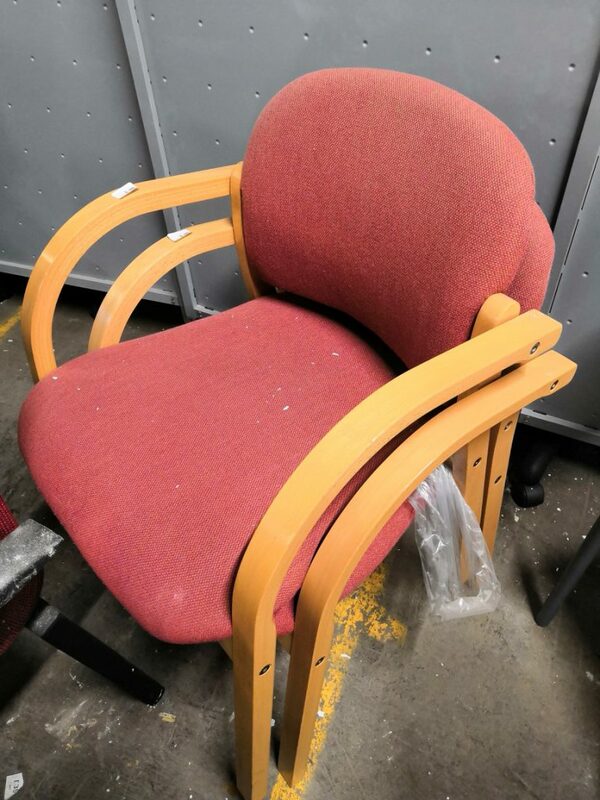 Red visitors chairs, ideal for meeting around a small boardroom table. Wooden arms and base. 4 available. 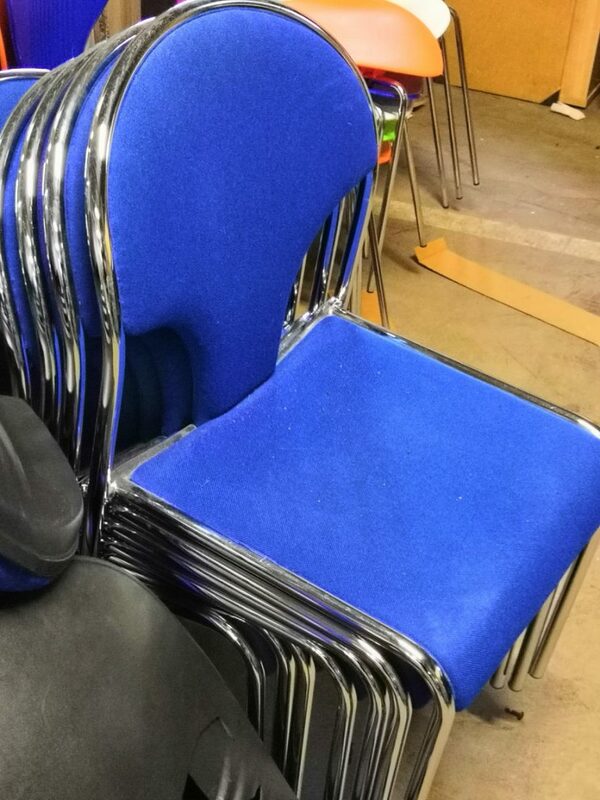 Blue four-leg chair on chrome frame with an interesting back design. 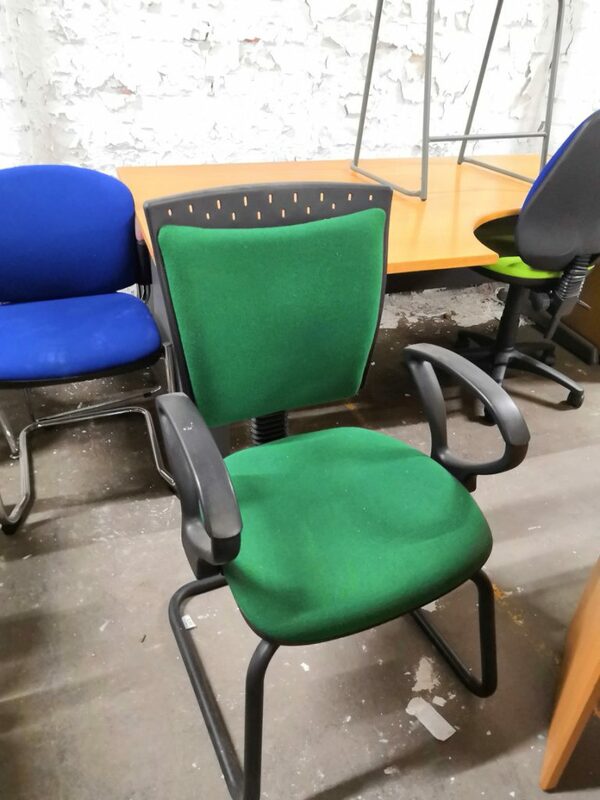 Ideal for a visitor chair, or for a meeting room. 2 available. Grey-purple operator chair upholstered with chrome base, on castors. 1 available. 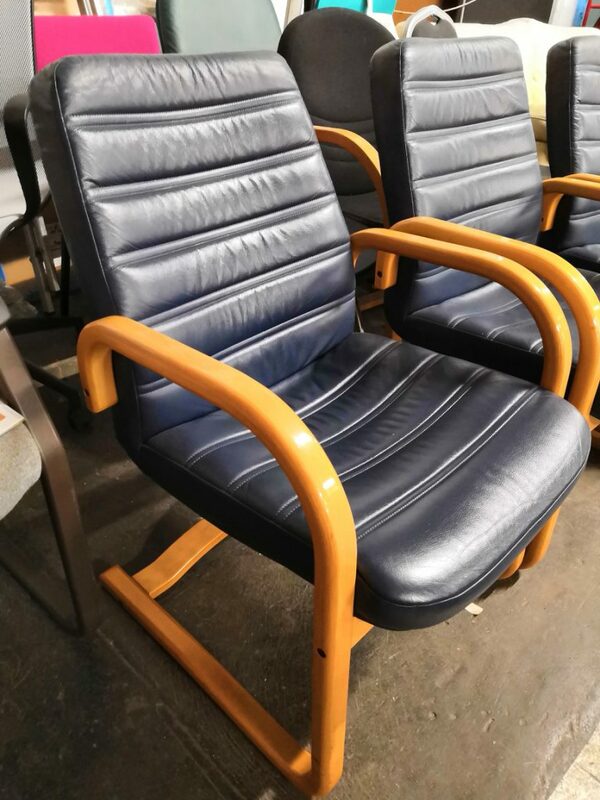 Immaculate condition, navy blue leather hide meeting room chairs. Very executive. Oak frame and cantilever base. 2 (each colour) available. 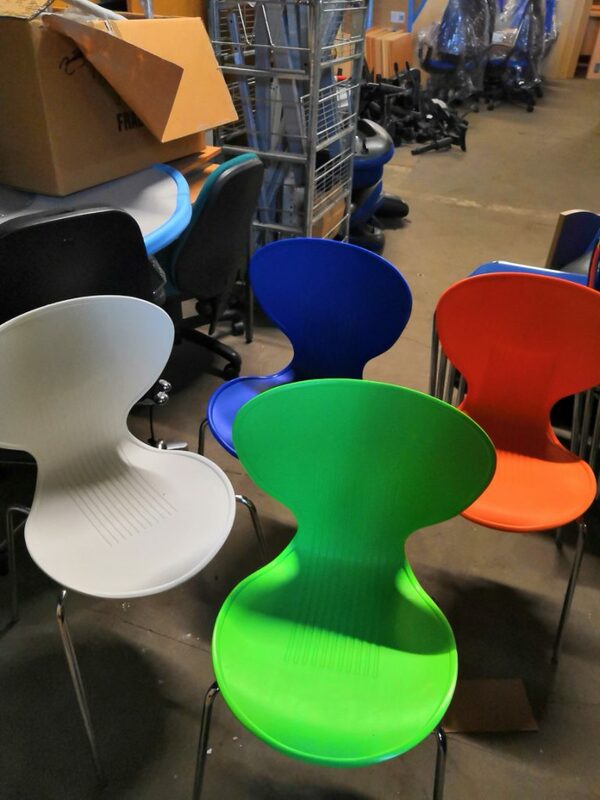 Durable, easy clean, plastic shell bistro chairs on a chrome frame. 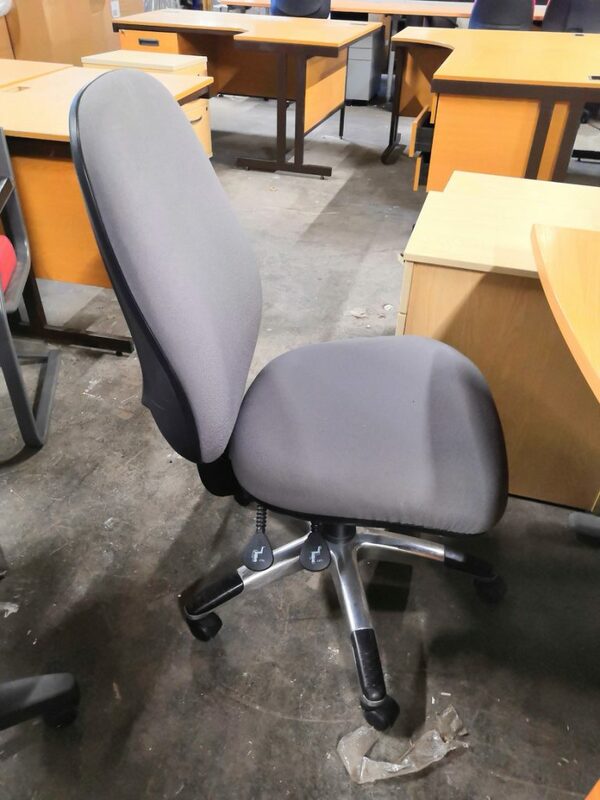 Ideal for break area.